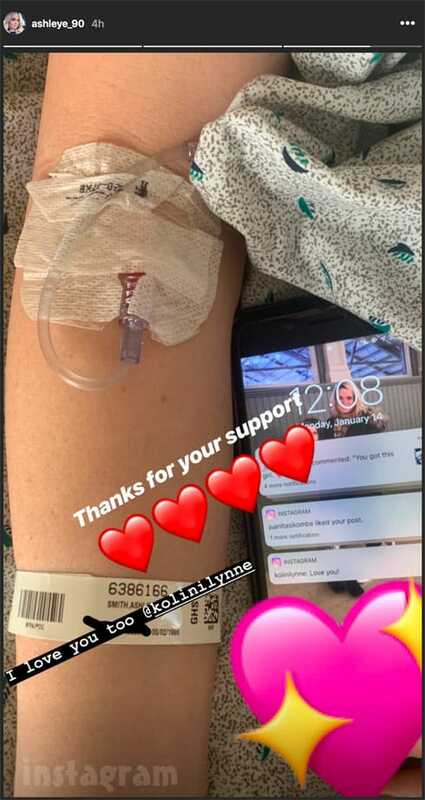 We have a health update on 90 Day Fiance star Ashley Martson, who was hospitalized over the weekend with kidney failure after being found unresponsive in her home on Sunday. Ashley shared another update in her Instagram story indicating that the GoFundMe servers were down and encouraging people to send her money directly via Paypal. I may have hurt you. I may have not been a good husband. Jumping on a plane the second I found out you was in the hospital was something I didn’t even think twice to do. We have our differences but as long as I have life I will never let you sit alone and suffer. I love you and nothing will ever change that. Thank you for having me here to support you. It’s unclear where Jay was that required him to hop on a plane to be by Ashley’s side. 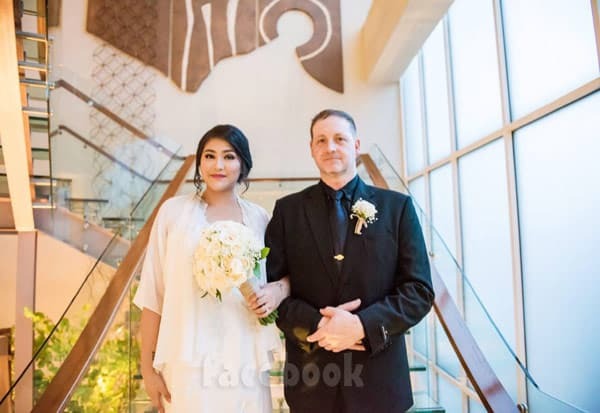 Potential future 90 Day Fiance: Happily Ever After co-star Paola Mayfield responded to Jay’s message by writing: “Through the good times and the bad times,” along with three heart emoji. Russ Mayfield: Sending up our thoughts and prayers to uyou and your family! You’re stronger than you know it! Jesse Meester: I’m so sorry you are going through this. Praying for you Ashley! Get better soon ?? Darcey Silva: “My thoughts and prayers are with you Ashley and your family! My family is here thinking of you and praying deeply! Our hearts are with you. We love you. ❤️? Annie Toborowsky: Get well soon ❤️?? Eric Rosenbrook: Keep fighting! You got this! Sending prayers! Ashley! ❤️? Eric’s daughter Tasha: Praying ?? Unfortunately, not everyone is rallying behind Ashley’s fundraising efforts. 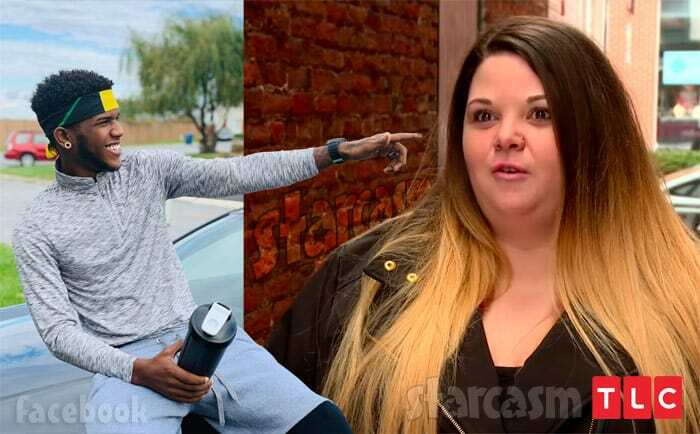 Perhaps jaded by all of the other GoFundMe campaigns started by 90 Day Fiance franchise cast members over the past few months, some fans are expressing their suspicions. Here is a rather comprehensive example from reddit. 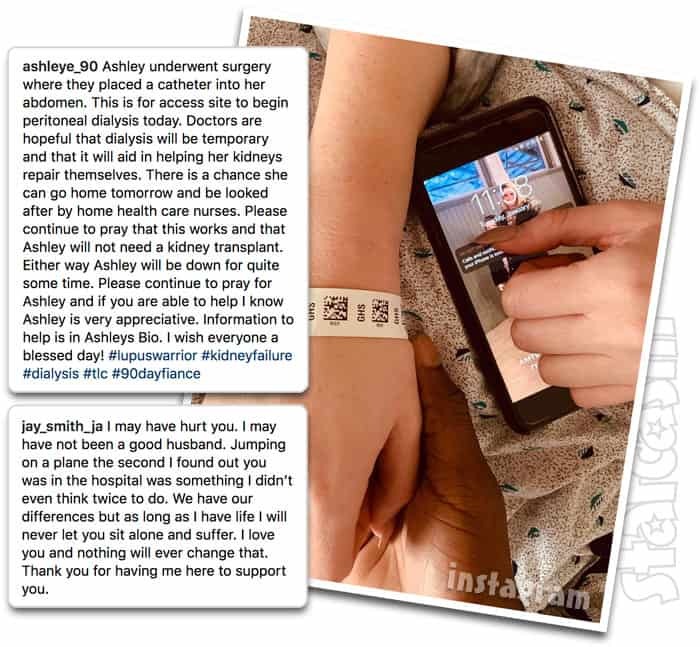 Of course we wish Ashley all the best and hope that she has a speedy recovery! We will continue to update our readers on her condition.